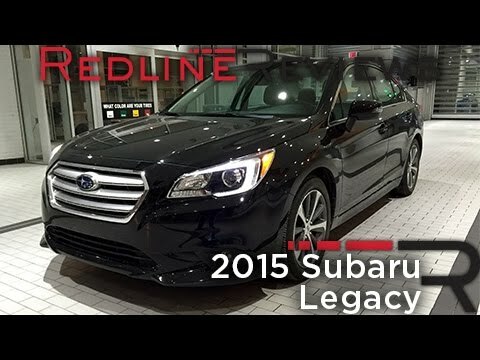 The Subaru Legacy has always stood out with its traction-enhancing all-wheel drive, yet in the face of rivals with household names like the Honda Accord and Toyota Camry, Subaru's midsize sedan received only marginal attention. But now that the 2015 Legacy has been revamped with a new design, better fuel efficiency and much improved technology, it deserves real consideration. Subaru legacy lives up to the name. My vehicle is wonderful, I have no issues with it whatsoever. It is great in all conditions and it is incredibly comfortable to drive. I love taking it on road trips. I also feel incredibly safe in my vehicle. I would say that the only problem I have experienced is my tire pressure is often said to be low because of the computers in the tires, but it is only down by 1 psi, luckily the car does not beep or ding to remind you constantly so it really is not much of a bother. It's somewhat beefy, but powerful. The Legacy is a great car. It has a lot of power and speed and is fun to drive. The only complaint I have is that through the dealership fixed all defects (there have been 4), they tried weaseling around it and would return the car with missing bolts and untouched (same dust, no fingerprints). I was still under warranty when I decided to stop going for the included lifetime oil changes and maintenance because there is only one Subaru dealership in town. Comfortable and stylish large sedan built for being on the road. The legacy has been a dependable vehicle and I have enjoyed owning it. It is a larger sedan which makes it great for shopping needs. It is very comfortable to drive and it has a lot of a features that I enjoy like heated seats and Bluetooth. I have had minimal problems with it mechanically. The only downside to the car is our expanding family - I believe we will need a van or SUV in the future. I do love this car though.